Sharks. Raise your hand if you're afraid of them. 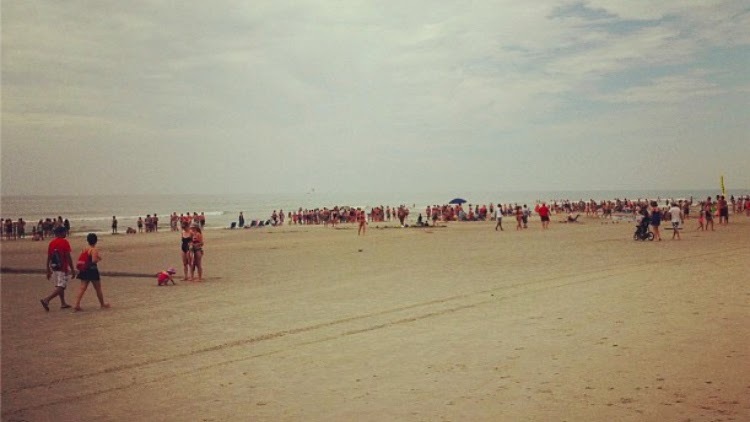 My first, and only, real encounter with a shark in the wild, came a few summers ago, in Myrtle Beach, South Carolina. Scuba diving with sharks is on the top of my bucket list, but I'll admit, knowing that you're sharing water with a shark when you don't intend to is quite terrifying. Especially when you see its dorsal fin pop up where you were standing just minutes before. The shark cleared the water, at least a couple hundred people standing on the shore observing and patiently waiting for the creature to move on. It was a sandbar shark. At full size, only about 6 to 8 feet in length, and true to their name, are found on sandy bottoms in shallow coastal waters... also know as, the Atlantic Coast. But, despite over 200 million people visiting US beaches each year, the number of shark encounters is very small. What should be scarier to you is that for every one human killed by sharks, there are approximately 25 million sharks killed by humans - that's over 100 million sharks every. single. year. Did you know, you're more like to get killed by a toilet than a shark? How about a cow? Or, get this one, a vending machine falling on you? Trust me, they're not the scary "man-eating" creatures the media portrays them as, just extremely misunderstood creatures. In fact, they're an extremely important part of the marine ecosystem, acting as a top predator, keeping food chains and prey populations in check. The true story is is that we need sharks! Sharks have existed in our oceans for 450 million years and when they become eliminated, our marine ecosystems will loose balance, affecting all of us despite brig thousands of miles from the nearest coast. It wasn't until I began working at an Aquarium that I truly gained an appreciation for this animal - their enormity, their powerful bodies, their agility as they move through the water, their intelligence, their remarkable senses, and most importantly, their important role as a top predator in our oceans. 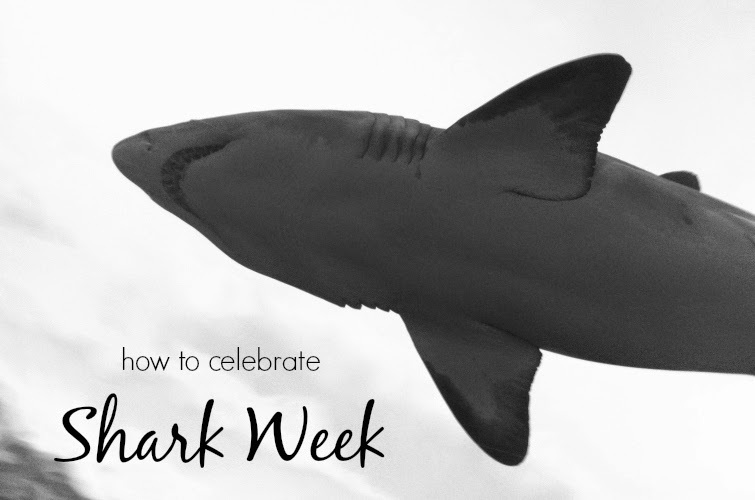 This week is Shark Week - a week dedicated entirely to the king of the ocean. Here are 10 ways that you can celebrate these amazing creatures this week, and every other week of the year. 2. Visit an Aquarium to experience sharks up close. 3. Go on a guided snorkel or dive with sharks. 4. Watch 'Sharkwater', a documentary by Rob Stewart. 5. Support shark conservation initiatives and organizations. 6. Help clean up our lakes, rivers and oceans by organization a shoreline cleanup. 7. Do not buy or consume shark parts, including shark fin. 8. Tune into the Discovery Channel to learn more! 9. Educate others on the importance of these animals. Happy Shark Week! Do you like sharks? Love this idea of things to do during shark week! We got to swim with dolphins before... AWESOME! I think it would be really cool to do that out in the ocean... not in a park lagoon. This is such a great post! I think I realised that a few years back when I started watching Shark Week - that we are so afraid of them and yet we kill them so much more! But I have to say that Great Whites do scare me a whole lot - when I was in Africa I did not go swimming! I'm unsure if I'd like to go cage diving, perhaps one day! I hear that the in Scotland you can go scuba diving with the basking sharks! I went Scuba diving with Sharks in San Diego 2 years ago and it was amazing. I have always loved sharks so my mom surprised me with this activity while we were there, it was such a cool experience! I lover the shark week tips!! AND our giveaway!! !